Great Yali encourages to be a unique alternative in the Atacama Desert. Located 5 kms away from San Pedro de Atacama (just 5 min in vehicle), Great Yali encourages to be a unique alternative in the Atacama Desert. It combines the Atacameña culture with the Creole tradition. It's the pinpoint place to enjoy / bask all the natural delights of this region. Be all of you welcome. 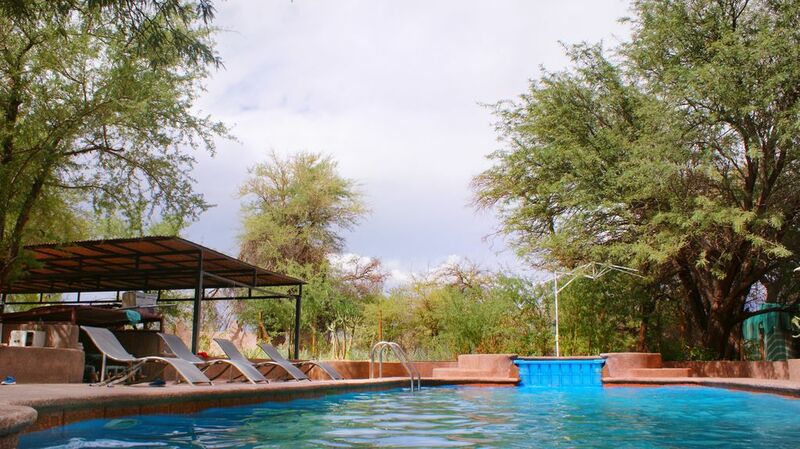 Located in the heart of Solor's Ayllu, just 5 kms away from San Pedro de Atacama (5 min in vehicle). The over 1500 square feet that runs through our house, invites you to have a unique experience in the Atacama Desert. Great Yali is an atacameña house, that's over 150 years old which still maintains its ancestral and original identity. It was built with "adobe", chañar trunks and "brea". This house has been conditioned to be able to deliver the necessary comfort to both national and foreign tourists. Come and be part of this sunny orchard located in the most arid desert in the world. Our guests will be able to enjoy completely and exclusively our property. You'll have access to the living room and bedrooms which are decorated with rustic materiality and local crafts. Also you'll be able to use the swimming pool, BBQ, and hammocks where you can read a book or just rest. The house has private parking for 3 vehicles. Full support whenever you need it. We give all the support required in our facilities. Our guests house is located in Solor's Ayllu just 5 kms away from San Pedro de Atacama (5 min in vehicle). In this area there are only agricultural lands and dirt roads. It's an ideal place to have a strategic center to move to the different tourist attractions such as: Cejar Lagoon (20 min away in vehicule), Toconao (30 min away in vehicle), Ojos del salar (20 min away in vehicle), Tebenqinche Lagoon (30 min away in vehicle), Village of Tulor, etc. Given the distances and the precarious traffic routes it's necessary to use a vehicle to be able to move to the city and its attractions. Description: Located 5 kms from San Pedro de Atacama (5 minutes by vehicle), Gran Yali offers a unique experience in the Atacama Desert making you part of the Atacameña culture with the peasant criollo. The more than 1500 square meters that run through the facilities of our country house invite you to live a unique experience in the Atacama Desert. Gran Yali is an Atacameña house that maintains its ancestral and original identity. It was built with adobe, chañar trunks and tar, has a date of 150 years old, which has been conditioned to deliver the necessary comfort to domestic and foreign tourists. Come and be part of this sunny orchard in the middle of the driest desert in the world. Who book, you can enjoy completely and exclusively the property, without sharing with more guests or people. They will have access to a large living room, living room, rooms that have a rustic decoration and materiality, with pieces of local crafts. Pool, barbecue area and grill, hammocks to read a book or just relax, private parking for 3 vehicles. Optional breakfast service with cost determined by the number of people and prior coordination. Our lodging house is in the Ayllu de Solor, just 5 kms (5 minutes by car) from San Pedro de Atacama. In the area, there are only agricultural land and dirt roads. It is an ideal place to disconnect and have as a strategic center to move to the different tourist attractions; among those that are: Cejar Lagoon (20 minutes) Toconao (30 minutes) Ojos del Salar (20 minutes) Tebenquinche Lagoon (30 minutes) Tulor Village, among many others!